The AirSep Visionaire 5 is a compact floor standing oxygen machine and one of the most economical and power-efficient choices for in-home oxygen. With attractive, contemporary styling, the AirSep VisionAire 5 features a near-silent operation. The VisionAire 5 appeals to the most sound-sensitive user (and their significant others) who value quiet time in the home. 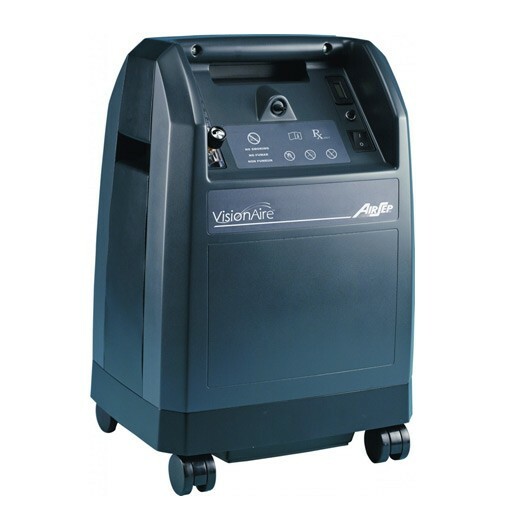 We guarantee the lowest AirSep VisionAire 5 price in Australia. SKU: S1052. Categories: Airsep Oxygen Concentrators, Oxygen Concentrators. Brand: Airsep. Equipped with a resettable circuit breaker, a dual-function compliance/hour meter, and well-defined system alarms. What accessories come with the VisionAire?